Mod Gold Medal Winners - Gold Medalists All - Volume 2, The Scottish Music Shop - The Best Selection of Scottish CDs and Scottish DVDs. The second volume of vintage recordings of Mod Gold medallists features a wide variety of talent. 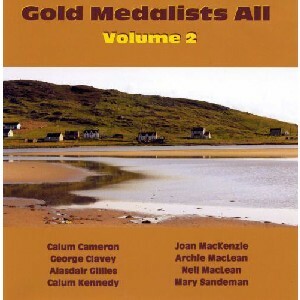 Sit back and enjoy another nostalgic collection of some of Gaeldom's finest singers including Calum Cameron, George Clavey, Alasdair Gillies; Calum Kennedy.